James C. Bruno is a shareholder practicing in Butzel Long's Detroit office and has served on the firm's Board of Directors. He is a graduate of Georgetown University, The University of Michigan Law School, and The University of Michigan Graduate School of Business. Mr. Bruno's primary practice includes corporations and limited liability companies; the Uniform Commercial Code; sales representatives and distributorships; automotive and other industry supplier relations; international business law and foreign employment; closely held business; mergers and acquisitions; and joint ventures. This includes counseling, negotiations, drafting, and dispute resolution. His clients include large and small entities, including foreign-owned start-ups. 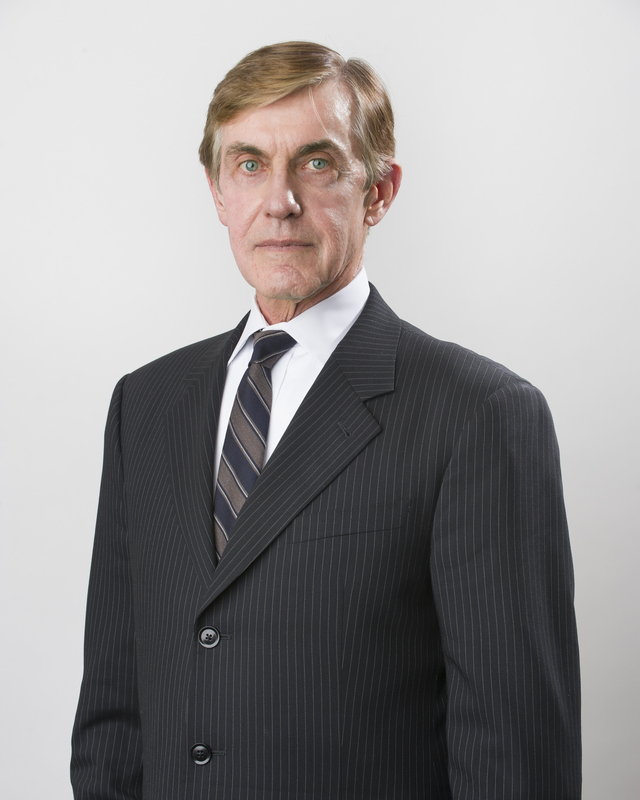 Mr. Bruno has been active in the firm's foreign practice, including oversight of the firm's Mexican alliance office. Mr. Bruno's practice includes mediation of commercial disputes. He has been certified as a mediator by the Florida Supreme Court. Mr. Bruno is a member of the State Bar of Michigan and the American Bar Association. He has served as Chair of the State Bar of Michigan's Business Law Section, Co-Chair of the Corporate Laws Committee, Council Member of the International Law Section, Co-Chair of the International Business Law Committee, and Member of the Advisory Committee for the Michigan Bar Journal. Mr. Bruno was an initial recipient of the Michigan State Bar's prestigious Stephen H. Schulman Outstanding Business Lawyer Award. He was named Lawyer of the Year in International Trade in Detroit and has been listed in the Martindale-Hubbell Bar Register of Preeminent Attorneys, The Best Lawyers in America, The Best Lawyers in America Consumer Guide for his work with closely held business entities, DBusiness Top Lawyers in Metro Detroit, and Michigan Super Lawyers. Mr. Bruno has written numerous articles and been a speaker and moderator at a variety of programs on international, corporate, immigration and business topics in automotive and other industries. Mr. Bruno was the editor of the Business Problems and Planning column of The Michigan Bar Journal for many years. His articles have been cited in legal briefs and court decisions and he is asked to serve as an expert witness on business law matters. Mr. Bruno's legislative work has included assisting in the drafting of the Michigan Business Corporation Act, Michigan Professional Corporation Act, and Michigan Limited Liability Company Act. Mr. Bruno has been the firm's representative to the automotive trade association, the Original Equipment Manufacturers Association. He was Counsel General in Detroit for El Salvador from 1973 to 1997. "Checklist for Formation of Foreign Subsidiary," 24 Business Lawyer, 493. "Controlling the Controllers in Parent-Subsidiary Relations," 3 Prospectus 333. "The German Law of Affiliated Enterprises," 1970 American Business Law Journal 157. "Corporations in Default," 51 Michigan Bar Journal 170. "Easing Into Automation," 62 Michigan Bar Journal 1060. "Survey-Business Associations," 29 Wayne Law Review 329. "Do Reciprocal Restrictive Hiring Agreements Violate Antitrust Law?" 64 Michigan Bar Journal 717. "Sales of Goods by Corporations in Foreign States - State Tax and Qualification Problems," 65 Michigan Bar Journal 208. "Book Value Defined," 65 Michigan Bar Journal 470. "CISG's New Year's Day Triumph Over UCC," 66 Michigan Bar Journal 1206. "Organizing a Close Michigan Corporation," Michigan Basic Practice Handbook. "Wither the Whereas - The Legal Implications of Recitals," 67 Michigan Bar Journal 634. "Seller's Risk and Benefit in Continuing to do Business With a Plaintiff Buyer," 69 Michigan Bar Journal 946. "Michigan Professional Service Corporation Act - 1990 Amendments," 70 Michigan Bar Journal 78. Book Review, Corporation Law & Practice, 70 Michigan Bar Journal 86. "The Battle of the Forms - Encouraging News From the Front," 70 Michigan Bar Journal 341. "Best Efforts - More or Less," XIV Michigan Business Law Journal 1 (No. 2). "Reasonable Expectations - A Primer on an Oppressive Standard," 71 Michigan Bar Journal 434 and 566; cited in Baks v. Mouron, 227 Mich. App. 412, Kirakides v. Atlas Food Systems & Services, Inc., 343 S.C. 587, Franchino v. Franchino, Mich. App., and 19 Am. Jur. 2d., Corporations, §2766. "Refusals to Deal with Chapter 11 Debtors or Third Party Maintenance Providers," 71 Michigan Bar Journal 1088. "Free Transferability of Interest Under the Michigan Limited Liability Company Act," 73 Michigan Bar Journal 962. "Negotiating Private Label Agreements," 74 Michigan Bar Journal 1292. "Legal Implications of ISO 9000 Under the UCC," 75 Michigan Bar Journal 1076. "Shareholder and Joint Venture Agreements under Section 488 of the Michigan Business Corporation Act," 78 Michigan Bar Journal 72. "Current Status of Oppression and Other Minority Rights under MBCA §489 and Other Theories," 78 Michigan Bar Journal 1408, cited in Estes v. Cuellar, 245 Mich. App. 328. "Enforcement of Non-Disclosure Agreements," 81 Michigan Bar Journal 58. "Construction and Supplier Joint Ventures," 82 Michigan Bar Journal 50. "Following the Better Path: The Duties of Directors of Insolvent Corporations Under MBCA Section 834(a)," 82 Michigan Bar Journal 54. "Compliance with the European Union Directive in the Transfer of Employee Personal Data to U.S. Affiliates," 83 Michigan Bar Journal 11. "Ironclad Contracts," Detroiter, March 2007. Chapter, "Joint and Several Contracts," Michigan Contract Law, Second Edition. University of Michigan Law School 1968, J.D. University of Michigan Business School 1968, M.B.A.
Best Lawyers' 2013 Detroit International Trade and Finance Law "Lawyer of the Year"
Counsel to numerous clients during the bankruptcy proceedings of Chrysler and General Motors. Lead counsel in negotiating and developing extended OEM warranties and back-up insurance policies. Butzel Long attorneys co-present program on Challenges/ Pitfalls of Doing Business in Mexico on September 26 in Washington, D.C.